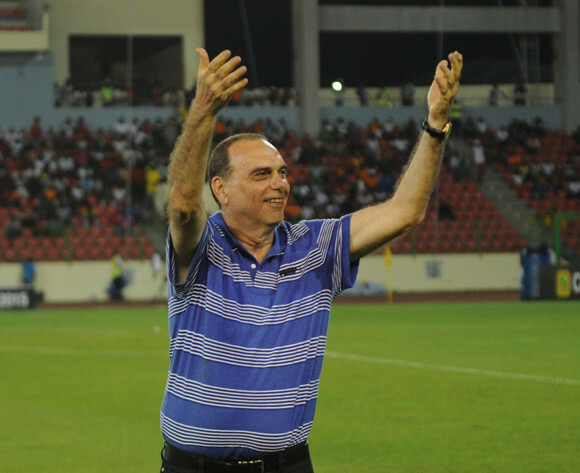 Coach for the Black Stars of Ghana, Avram Grant seems okay with the slim margin victory against the Cranes of Uganda on Tuesday. Avram Grant speaking after his side triumphed over Uganda by a goal to nail in the ongoing 2017 African Cup Of Nations in Gabon said what matters most is the maximum points at stake. "I'm happy with the three points," Grant said. "We could have played better but winning is the most important in tournaments like this. "We had to take on the pressure in the second half but at the end of the day, I am happy. "Uganda is a very tough team and playing against them is never easy. We got a few chances but we won." A spot kick goal from Andrew Ayew on the 32nd minute was enough for the Black Stars to carry all the three points. As Ghana prepares to battle with Mali in their second group match, Coach Avram Grant has assured that things will change. "The second game will be different but there are no easy games in this tournament," Grant added. "It is only the first game and the most important is to win. Andre and Jordan Ayew had a good team. "In the second half, we were a bit fatigued and the players wanted to keep the three points, and we played in a clever way to win the game."